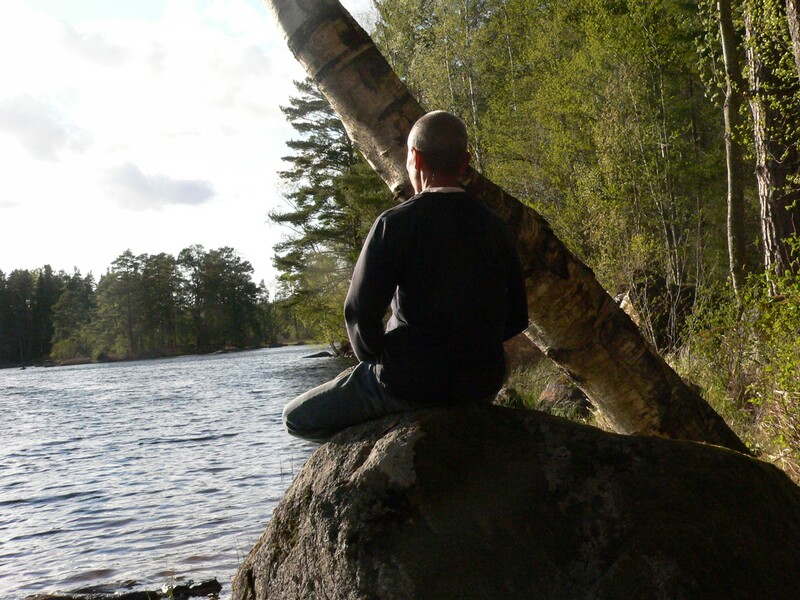 Zenmeditation in a sangha or at home on fullmoon day? From the buddha to modern times from simple zazen to many rituals. the Buddha taught that the Uposatha day (day of observance, in existence) is for “the cleansing of the defiled mind,” resulting in inner calm and peace. But why was full moon so important for him? His own experience maybe? Buddha attained his enlightenment on a full moon day for he had developing and attuning it correctly for a long period! Buddha was fully convinced that on full moon there are good circumstances to see your own face. Ancient belief in India says that the moon is the controller of the water, and circulating through the universe, sustaining all living creatures. It is the counterpart on earth of the liquor heaven, ‘amrta’ the drink of the gods. Our human body consists of about seventy percent liquid. It is accepted by physicians that our bodily fluids flow more freely at the time of full moon. This flow will help the mind in the proce of “letting go” and thus make the mind free to see clearly. In view of the possible influence of the moon, the ancient sages advised the people to refrain from various commitments on this particular day and take it easy for the day. They relax their minds and devote their time to spiritual pursuits. Those who have trained their minds are liable to be subjected to the strong influence of the moon. Legend is that Shakyamuni Buddha’s followers also gathered for this this day. They would sit down and meditate together. Later, this beautiful simple deep sit-meditation like zazen meditation was “working out” in recitating rules…….governing everyday conduct for monks and nuns. This recitation developed into a confession and repentance ceremony, during which the monks and nuns would speak up if they had violated any of the rules and vow to do better in the future. The ceremony was transmitted, with lots of changes and developments, from India through China to Japan and now has been transmitted to America as Ryaku Fusatsu, as it is known in Soto Zen Buddhism. In Mahayana Buddhism, the spirit of the ceremony is preserved, but the many rules are not recited, because Mahayana sects have abandoned them. Instead of the confession being made to other monks, it is made directly to Buddha.